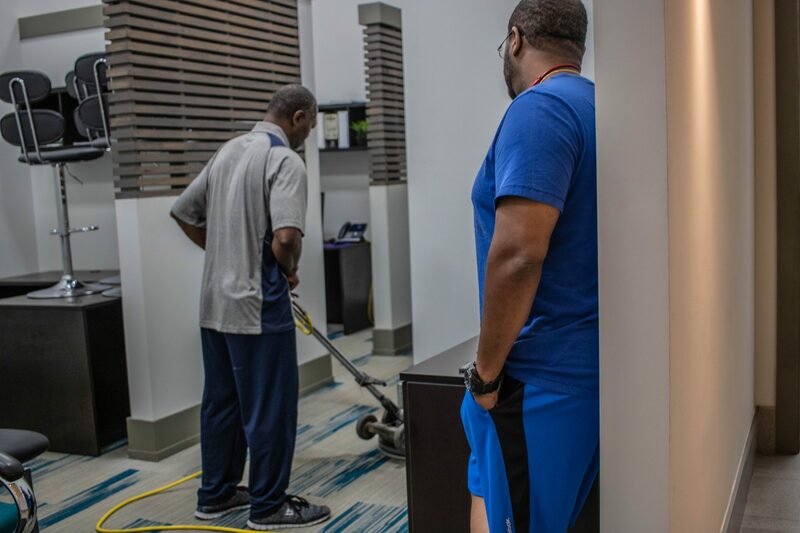 Max Volmar of M&G Janitorial Services is a partner of the, now, Beck Envision Partners Program with a heart to see others grow and succeed, who has begun extending his reach as a mentor to another like-business within our community. Similar to what took place within the Beck Envision relationship, Max saw the opportunity to lend his knowledge and subject matter expertise to another business who had the potential to be great, but just needed the extra guidance and push to become the business that he aspired to be. 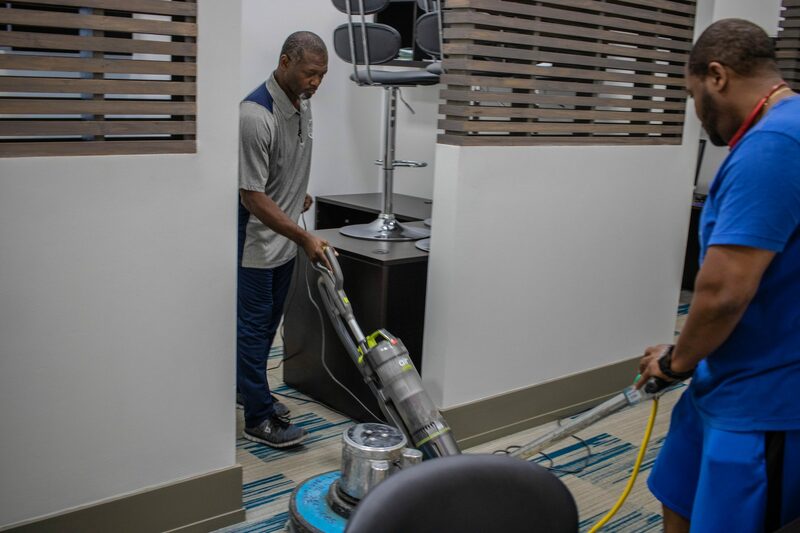 Dedrick Jones, who currently owns his own janitorial services company is interested in learning more about cleaning floors, however, he does not have access to the proper equipment required for commercial flooring clean-up. Because of Max’s expertise and access to the appropriate equipment, however, he not only offered to train Detrick on how to properly use the equipment, but he has also allowed Detrick to utilize these materials and equipment when needed. To see the fruit of the Beck Envision relationship move down within the roots of our community as our partners begin to follow suit in pursuing purposeful partnerships is both rewarding and inspiring. With our community’s overall economic development in mind, there is so much that can be accomplished from the “Big Brother, Little Brother” approach. In short, we reach people so that they can reach more. It is truly a never-ending cycle that has the power to make unmatched change within our community as we continue to lift up others & extend the chain of growth from business to business.